World Population by end of 2011 is 7 Billion. Population in China is 1.3 Billion. Population in India is 1.19 Billion. 800 Million users by the end of 2011. Expenses, 1 Billion US $ per year. 10% of people have less than 10 friends, 20% have less than 25 friends, while 50% have over 100 friends. In June 2011, Facebook hit one trillion page views that month, with 870 million unique visitors for the same period, giving the site a staggering 46.9% reach among all web surfers. Bought Skype for $8.5 Billion. In June 2011, Microsoft hit with 250 million unique visitors, giving the site a 14.5% reach among all web surfers. In June 2011, MSN hit with 440 million unique visitors, giving the site a 25.8% reach among all web surfers. Britney Spears has the highest number of followers in Google+ with 1,096,945 followers while Larry Page is the second. In June 2011, YouTube hit with 800 million unique visitors, giving the site a 46.8% reach among all web surfers. In June 2011, Blogspot hit with 340 million unique visitors, giving the site a 19.6% reach among all web surfers. 250 Million Tweets per day. In June 2011, Twitter hit with 160 million unique visitors, giving the site a 9.3% reach among all web surfers. 42,000 nodes in the Hadoop cluster. Flickr stores more than 5 Billion photos. Flickr gets 100,000 queries per second. In June 2011, Yahoo hit with 590 million unique visitors, giving the site a 34.4% reach among all web surfers. Thilina was in Denmark in March for a customer engagement. In May he was in Switzerland and in July Thilina was in Denver for Cloud Identity conference. In November he was in Sweeden for another customer engagement. Amila was in California from February to April. And back in US, in Raleigh, NC in September for a customer engagement. In October he was in New York for another customer engagement. Asela was out during March/April for a customer engagement in North Carolina. In July Asela was in Denver for Cloud Identity conference and in New York once again for a customer engagement. In August he was at WSO2 Palo Alto office and did the Could Security workshop there with Asanka and me. Again in November he left to San Diego for a customer engagement. Just after one week he returned back to SL - he left to Germany for another customer engagement. Hasini was out of the country in June - for a customer engagement in Indianapolis. Manjula was in Thailiand in November to present WSO2 Identity Server at APICTA. And he left to Germany soon after that for a customer engagement - which finished in December. I was in New York, Washington & Dallas in March for the WSO2 SOA Security & Identity Workshops and in July was in Denver for Cloud Identity conference and in New York once again for a customer engagement. In August I was at WSO2 Palo Alto office and did the Could Security workshop there with Asanka and Asela. Once again I was back in New York in October for another customer engagement and also for a workshop on Cloud Security. In November I was in Vancouver - Canada for the ApacheCon. We successfully completed the first Kolamba DZone meetup with 5O+ attendees from WSO2, University of Moratuwa, University of Colombo, Informatics and IFS. We started the event by introducing DZone - since some guys were new to it..
Then we had a very interesting panel discussion on Big Data - which was followed by a demo.. and we ended up with some music.. and some 'nice' food.. Hope everyone enjoyed.. Thanks a lot WSO2 for sponsoring this event.. and thanks DZone for helping us to make this event a success..
Also thanks Srinath, Tharindu, Senaka, Wathsala, Deep, Shankar, Anjana and Buddhika for taking part in the panel discussion..
At last , not least thanks a lot Harindu for owning everything and making everything perfect..
IDC estimated the digital universe to be around 1.8 zettabytes by 2011. How big is a zettabyte? It's one billion terabytes. The current world population is 7 billion - that is, if you give a hard disk of 250 billion GB for each person on the earth - still that storage won't be sufficient. 1. The New York Stock Exchange generates about one terabyte of new trade data per day. 2. Facebook hosts approximately 10 billion photos taking up one petabytes of storage. 3. Ancestry.com, the genealogy site, store around 2.5 petabytes of data. 4. The Internet Archive stores around 2 petabytes of data, and is growing at a rate of 20 terabytes per month. 5. The Large Harden Collider near Geneva will produce about 15 petabytes of data per year. 6. Everyday people create the equivalent of 2.5 trillion bytes of data from sensors, mobile devices, online transactions & social networks. Facebook, Yahoo! and Google found themselves collecting data on an unprecedented scale. They were the first massive companies collecting tons of data from millions of users. They quickly overwhelmed traditional data systems and techniques like Oracle and MySql. Even the best, most expensive vendors using the biggest hardware could barely keep up and certainly couldn’t give them tools to powerfully analyze their influx of data. In the early 2000’s they developed new techniques like MapReduce, BigTable and Google File System to handle their big data. Initially these techniques were held proprietary. But they realized making the concepts public, while keeping the implementations hidden, will benefit them - since more people will contribute to those and the graduates they hire will have a good understanding prior to joining. Around 2004/2005 Facebook, Yahoo! and Google started sharing research papers describing their big data technologies. In 2004 Google published the research paper "MapReduce: Simplified Data Processing on Large Clusters". MapReduce is a programming model and an associated implementation for processing and generating large data sets. Users specify a map function that processes a key/value pair to generate a set of intermediate key/value pairs, and a reduce function that merges all intermediate values associated with the same intermediate key. Many real world tasks are expressible in this model, as shown in this paper. Programs written in this functional style are automatically parallelized and executed on a large cluster of commodity machines. The run-time system takes care of the details of partitioning the input data, scheduling the program's execution across a set of machines, handling machine failures, and managing the required inter-machine communication. This allows programmers without any experience with parallel and distributed systems to easily utilize the resources of a large distributed system. Google's implementation of MapReduce runs on a large cluster of commodity machines and is highly scalable. A typical MapReduce computation processes many terabytes of data on thousands of machines. Programmers and the system easy to use. Hundreds of MapReduce programs have been implemented and upwards of one thousand MapReduce jobs are executed on Google's clusters every day. Doug Cutting who worked for Nutch, an open-source search technology project which are now managed through the Apache Software Foundation, read this paper published by Google and also another paper published by Google on Google's distributed file system [GFS]. He figured out GFS will solve their storage needs and MapReduce will solve the scaling issues they encountered with Nutch and implemented MapReduce and GFS. 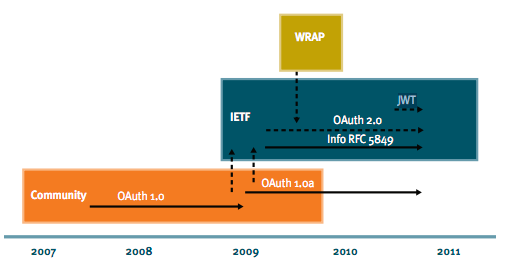 They named the GFS implementation for Nutch as the Nutch Distributed Filesystem [NDFS]. NDFS and the MapReduce implementation in Nutch were applicable beyond the realm of search, and in February 2006 they moved out of Nutch to form an independent sub project of Lucene called Hadoop and NDFS, became HDFS [Hadoop Distributed File System] - which is an implementation of GFS. During the same time Yahoo! extended their support for Hadoop and hired Doug Cutting. At a very high-level, this is how HDFS works. Say we have a 300 MB file. [Hadoop also does really well with files of petabytes and terabytes.] The first thing HDFS is going to do is to split this up in to blocks. The default block size on HDFS right now is 128 MB. Once split-ed in to blocks we will have two blocks of 128 MB and another of 44 MB. Now HDFS will make 'n' number of ['n' is configurable - say 'n' is three] copies/replicas of each of these blocks. HDFS will now store these replicas in different DataNodes of the HDFS cluster. We also have a single NameNode, which keeps track of replicas and the DataNodes. NameNode knows where a given replica resides - whenever it detects a given replica is corrupted [DataNode keeps on running checksums on replicas] or the corresponding HDFS node is dowm, it will find out where else that replica is in the cluster and tells other nodes do 'n'X replication of that replica. The NameNode is a single point of failure - and two avoid that we can have secondary NameNode which in sync with the primary -and when primary is down - the secondary can take control. Hadoop project is currently working on implementing distributed NameNodes. Again in 2006 Google published another paper on "Bigtable: A Distributed Storage System for Structured Data"
Bigtable is a distributed storage system for managing structured data that is designed to scale to a very large size, petabytes of data across thousands of commodity servers. Many projects at Google store data in Bigtable, including web indexing, Google Earth, and Google Finance. These applications place very different demands on Bigtable, both in terms of data size (from URLs to web pages to satellite imagery) and latency requirements (from backend bulk processing to real-time data serving). Despite these varied demands, Bigtable has successfully provided a flexible, high-performance solution for all of these Google products. This paper describes the simple data model provided by Bigtable, which gives clients dynamic control over data layout and format, and describes the design and implementation of Bigtable. BigTable maps two arbitrary string values (row key and column key) and timestamp (hence three dimensional mapping) into an associated arbitrary byte array. It is not a relational database and can be better defined as a sparse, distributed multi-dimensional sorted map. Basically BigTable discussed how to build a distributed data store on top of GFS. HBase by Hadoop is an implementation of BigTable. HBase is a distributed, column oriented database which is using HDFS for it's underlying storage and supports both batch-style computation using MapReduce and point queries. Amazon, published a research paper in 2007 on "Dynamo: Amazon’s Highly Available Key-value Store". Dynamo, is a highly available key-value storage system that some of Amazon’s core services use to provide an “always-on” experience. Apache Cassandra — brings together Dynamo's fully distributed design and BigTable's data model and written in Java - open sourced by Facebook in 2008. It is a NoSQL solution that was initially developed by Facebook and powered their Inbox Search feature until late 2010. In fact much of the initial development work on Cassandra was performed by two Dynamo engineers recruited to Facebook from Amazon. However, Facebook abandoned Cassandra in late 2010 when they built Facebook Messaging platform on HBase. Also, besides using the way of modeling of BigTable, it has properties like eventual consistency, the Gossip protocol, a master-master way of serving the read and write requests that are inspired by Amazon's Dynamo. One of the important properties, the Eventual consistency - means that given a sufficiently long period of time over which no changes are sent, all updates can be expected to propagate eventually through the system and all the replicas will be consistent. I used the term 'NoSQL' when talking about Cassandra. NoSQL (sometimes expanded to "not only SQL") is a broad class of database management systems that differ from the classic model of the relational database management system (RDBMS) in some significant ways. These data stores may not require fixed table schemas, usually avoid join operations, and typically scale horizontally. The name "NoSQL" was in fact first used by Carlo Strozzi in 1998 as the name of file-based database he was developing. Ironically it's relational database just one without a SQL interface. The term re-surfaced in 2009 when Eric Evans used it to name the current surge in non-relational databases. There are four categories of NoSQL databases. 1. Key-value stores : This is based on Amazon's Dynamo paper. As per Marin Dimitrov, following are the use cases for NoSQL databases - in other words following are the cases where relational databases do not perform well. With NoSQL, we get the advantages like, Massive Scalability, High Availability, Lower Cost (than competitive solutions at that scale), Predictable elasticity and Schema flexibility. For application programmers the major difference between relational databases and the Cassandra is it's data model - which is based on BigTable. The Cassandra data model is designed for distributed data on a very large scale. It trades ACID-compliant data practices for important advantages in performance, availability, and operational manageability. If you want to compare Cassandra with HBase, then this is a good one. Another HBase vs Cassandra debate is here. Possible bug in iPad push notifications ? The applications that do support push notifications - will prompt a message whenever there is something to notify - even-though the user is not using the app at that time. But - what if I have secured the iPad with a password.. Still these apps will prompt the message when iPad is in locked state.. Which looks like a bug for me..
Another possible bug.. when your iPad is locked and requires a password to unlock, still anyone can access your photos, just by clicking on the icon below..
May be iPad has some options to handle these scenarios - even in that case this shouldn't be the default behavior when iPad is protected with a password. What is meant by Symmetric ? Both the parties, client and server use the same key to encrypt and sign. 5. EncryptedKey element will be included in the Security header of the SOAP message going from the sender to the recipient. Here what you see under CipherValue element is the encrypted generated key. The value of KeyIdentifier, which is r3iHLvhEdbQLQGh0iuDzzJMBz40=, is the base64 encoded SHA1 value of the fingerprint of the recipient's public key. Looking at this fingerprint value, recipient can pick the corresponding private key to decrypt the message and get the generated key out. Also, let's have a look at the Algorithm attribute of EncryptionMethod element. This is the algorithm used to encrypt the generated key - and which to use is based on the Algorithm Suite defined in your security policy. In this case I have used Basic256 as the Algorithm Suite - so it uses rsa-oaep-mgf1p as the asymmetric key wrapping algorithm. Once the client gets the message, it will perform following validations..
2. Goes through all the stored EncryptedKey elements in-memory to check whether the SHA1 hash of any of them matches with the hash value in the response. If any match found, that's the Encrypted key. With Symmetric binding, only the recipient needed to have a public/private key pair. But in Asymmetric binding both the parties should have their own key pairs. Even it's Asymmetric, the encryption happens with a generated symmetric key - the reason is Asymmetric encryption is resource consuming and also cannot operate on a large amount of data... so, WS-Security specification recommends to use symmetric key encryption with a generated key, even with the Asymmetric binding. The major difference between the Asymmetric and the Symmetric is the way Signature been handled. With Symmetric binding, both the request and the response are signed using the same generated key.. But in Asymmetric binding, the request is signed using the sender's private key and the response is signed using recipient's private key. In other words, Asymmetric provides a guarantee on non-repudiation while Symmetric binding does not. Let's see how Asymmetric binding works in Web Services security..
5. Builds an encrypted key element with the output from  and associates an ID with that element. Do NOT store it in-memory as in the case of Symmetric. 6. EncryptedKey element will be included in the Security header of the SOAP message going from the sender to the recipient. The SOAP messages for Symmetric and Asymmetric requests look alike - cannot find any differences. 11. EncryptedKey element will be built with the encrypted generated key and included in the Security header of the SOAP message going from the service to the client. This is not possible by looking at the SOAP request - but looking at the SOAP response we can figure it out. When using Asymmetric binding SOAP response will have the EncryptedKey element inside the Security header - but not in the case of Symmetric binding. Let's summarize the differences in the behavior between Asymmetric and Symmetric bindings. 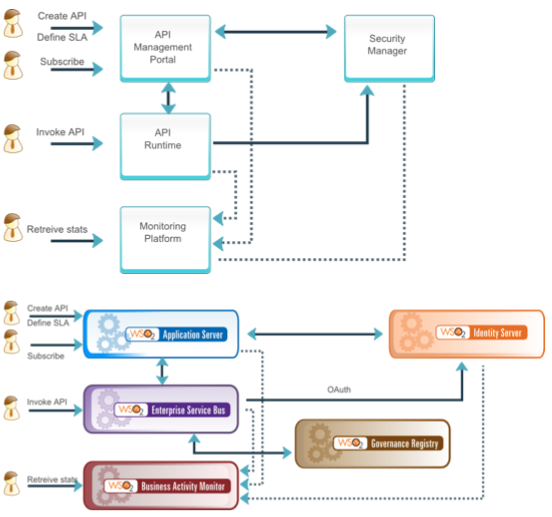 APIs have become an essential and key success factor for any business. Businesses do not operate as silos anymore, therefore each business depends on B2B communications. In technical terms, different systems/applications need to communicate with each other to fulfill various business requirements. Publishing rich business APIs is the answer to the above requirements. Architects and developers who implement APIs prefer to use REST as the standard by looking at the simplicity and flexibility it provides for the end-users of the API and use lightweight message formats like JSON and POX. Most enterprises struggle to expose RESTful APIs due to various technical limitations and spend more time to architect and implement the same. This half-day workshop focuses on how to expose your heterogeneous back-end services as a RESTful API in a quick and easy but architecturally accurate way, using the WSO2 Platform - and presented by Asanka Abeysinghe, Director, Solutions Architecture, WSO2. The first ever DZone meetup in Sri Lanka happens on 15th December at WSO2 #58 office..
We have picked "Big Data" as the theme for this meetup and have invited the experts in this area to share their thoughts.. All topics related to Big Data has lots of traction these days and DZone NoSQL Zone has a good collection of resources..
We would like to invite any of the DZone members/users around Colombo to join this meetup to share your thoughts..
WSO2 is happily sponsoring the event and we would expect DZone to send us some RefCards to share between the attendees.. 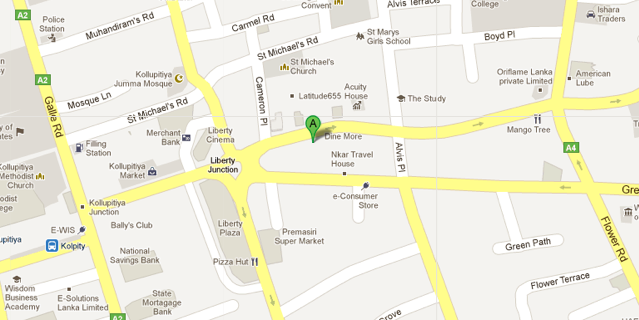 Location : WSO2, 5th Floor, 58 [ICIC Building], Dharmapala Mawatha, Colombo 07.